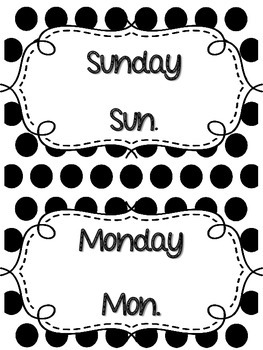 Black polka dotted days of the week signs. This has the day and it's abbreviated form. Cut, laminate and place in a center or use in a lesson. 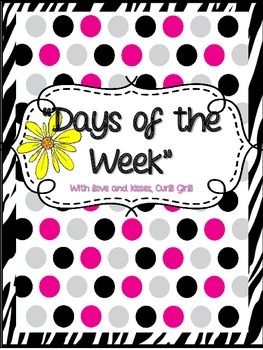 Students learn their days of the week and takes you into a Word Study lesson.